What are the top landmarks in Isle of Skye? Set on a basalt outcrop overlooking Loch Dunvegan, this historic fortress has been home to the chiefs of a prominent Highland clan for eight centuries. Tour a working whisky distillery and sip a dram of the smoky yet sweet single-malt Scotch produced here. Experience the serenity of a far-flung beach that promises some of the best views on the spectacular Isle of Skye. Enjoy a stop at Neist Point Lighthouse, a landmark worth seeing in Isle of Skye. You can enjoy the bars while in the area. Enjoy a stop at Caisteal Maol, a landmark worth seeing in Isle of Skye. Wander the waterfront in this relaxing area. If a restful holiday is part of your travel plans, Talisker Beach might be the perfect place to visit during your trip to Isle of Skye. Savour the lively bars and top-notch restaurants while in town. 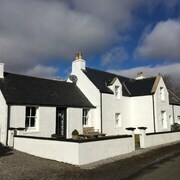 Situated in Isle of Skye, this bed & breakfast is 3 mi (4.9 km) from Talisker Distillery, and within 9 mi (15 km) of Talisker Beach and Fairy Pools. The pods are charming, in a very nice location. Comfortable bed, you have everything you need. The property was easy to find in a good location a popular place for people to eat and drink. The Isle of Skye, also known as the “island of the mist”, is part of the Inner Hebrides archipelago on Scotland’s northwest coast. Skye is Scotland’s second largest island and is connected to the mainland by both bridge and ferry. It offers some of the country’s most stunning landscapes and is dotted with rugged white beaches, atmospheric lochs and majestic cliffs, with a cluster of mountains sitting at the island’s heart. Due to its peaceful idyll, Skye is also a haven for artists, so alongside the traditional Scottish pubs, tearooms and B&Bs are various galleries, studios and craft shops. It’s also the home of the Talisker whisky distillery in Carbost. Famous landmarks include Kilt Rock, the Fairy Glen, the Fairy Pools and the Old Man of Storr. The island is also amazingly rich in wildlife, including red deer, otters, dolphins, whales, seals and the white-tailed sea eagle. 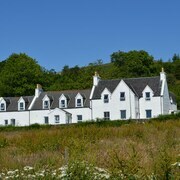 There are many Isle of Skye hotels to choose from and many beautiful areas to stay in. The three most popular visitor destinations are Portree, Dunvegan and Trotternish. Situated to the east, Portree is the island’s capital and its largest town. It is surrounded by the hills of Ben Tianavaig, Fingal’s Seat and Ben Chrachaig, and overlooks a sheltered bay. Portree has a variety of cafes and restaurants, plus a cinema, visitor centre and arts centre. It also hosts the annual Highland Games. Edinbane Pottery is well worth visiting to see its stunning wood fire and salt-glazed ceramics. The small town of Dunvegan, on the east coast, is home to the picturesque Dunvegan Castle, which dates back to the 14th century. 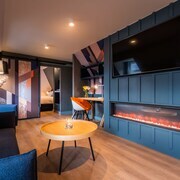 It’s also close to the Michelin-starred Three Chimneys restaurant and the charming Claigan Coral beach. Scenic Trotternish is on the most northerly peninsula of Skye. It’s known for the Trotternish landslip, a massive landslide around 19 miles long, and for being home to the rocky pinnacle of the Old Man of Storr (the peninsula’s highest point), plus the stunning Quiraing rock formations, and the village of Uig, home of the famous Fairy Glen. For this reason, it’s loved by hikers. 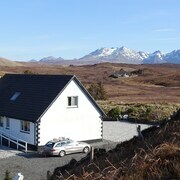 There are a range of Isle of Skye hotels to suit various budgets. 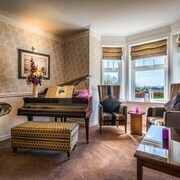 For 4 star luxury, you could consider Duisdale House Hotel in Duisdalemore. The hotel offers a lounge bar with a welcoming fireplace, a swimming pool and spa, fine dining and sweeping grounds. Breakfast is included and all rooms have minibars. For a mid-price option, try the Mackinnon Country House Hotel in Kyleakin. Facilities include a restaurant, lounge bar and pretty garden, plus free Wi-Fi in every room. 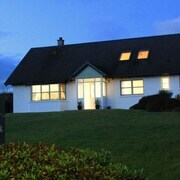 A budget choice is the 3 star Tullochard House B&B in Dunvegan. This B&B has a cottagey atmosphere, and includes free Wi-Fi, tour booking assistance and a wildlife-filled garden. Whichever destination you choose, you’re bound to find an Isle of Skye hotel to suit you. Skye has a breathtaking array of visitor attractions. It’s recommended that you visit both Dunvegan Castle, historic seat of the clan MacLeod, and Armadale Castle, seat of the MacDonald clan. It’s also worth seeing the ruined Caisteal Maol in the village of Kyleakin. Skye is also heaven for walkers, hikers and climbers, with the Cuillin mountain range and the Trotternish Ridge being popular spots. You could hike up the rocky hill of the Old Man of Storr, which overlooks Loch Fada, or visit the Quiraing landslip. Other famous landmarks include the stunningly sheer sea cliffs of Kilt Rock, which is said to resemble the traditional Scottish kilt garment; Claigan Coral Beach, a fascinating place to take a stroll and collect sea debris, and Macleod's Tables, two flat-topped hills associated with a local legend. Trumpan Church, which may date back as far as the 14th century, is an atmospheric ruin overlooking the sea. For days out, Skye has one whisky distillery, the famous Talisker Distillery, which offers tours and tastings. Nature lovers will appreciate the Skye Serpentarium in Broadford, which is a reptile refuge and education centre. The harbour at the village of Plockton is known for being particularly picturesque, and Plockton is also a great spot for cycling, seal-spotting trips and for visiting nearby Duncraig Castle. Two of Skye’s most magical attractions are associated with fairies but are actually in different parts of the island. The Fairy Pools are near to the Glen Brittle forest at the foot of the Cuillin mountains, and their enchanting turquoise waters offer some of the clearest, cleanest natural swimming pools and waterfalls in the entire world. The similarly named Fairy Glen is near to the village of Uig in the Trotternish peninsula. This assortment of hills, waterfalls, ponds and rock formations are clustered so unusually closely together that they give the effect of an enchanted landscape. Whatever you decide to do on your visit to the Isle of Skye, you’re bound to be charmed by this enigmatic island. Save money on your trip to the Isle of Skye by booking your flight and hotel together on Expedia. 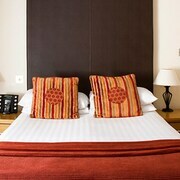 If you want to stay in another popular place in Britain you could also consider hotels in Glasgow. Explore Isle of Skye with Expedia's Travel Guides to find the best flights, cars, holiday packages and more!